Be sure to come down to the bookstore on Saturday, March 23 between 11:00am and 1:00pm. 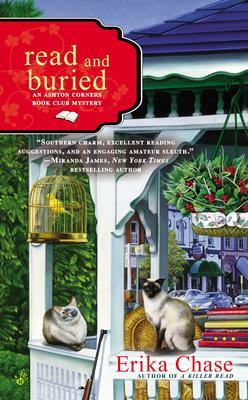 Local mystery author Linda Wiken, will be here signing copies of her newest mystery novel Read and Buried. It is the second book in the Ashton Corners Book Club Mystery series which features book lover Lizzie Turner who must solve yet another puzzling mystery at the Aston Corners Book Club. “For their very first guest author event, most of the book club members can’t wait to pull out all the stops in Southern hospitality. But for Lizzie, Derek Alton is nothing but trouble – from his massive ego to his smarmy moves. When he’s found murdered in her living room, it seems someone decided that this womanizing writer would be better off dead than read.